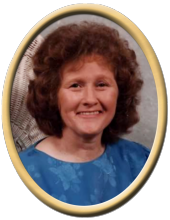 Peggy Nelson, 66, of Huntsville, passed away Sunday. She was preceded in death by father, William E. Harless, mother, Emma Viola Harless, son, Richie Nelson, siblings, Linda Faye Campbell, Willie Harless, Larry Harless and Louise Harless. Surviving are husband, Richard Nelson, daughter, Christina Nelson, son, William Nelson, seven grandchildren, several great grandchildren, sister, Sue Clark, several nieces & nephews. Visitation will be Thursday 10:00 AM to 1:00 PM at New Hope Funeral Home. Graveside service will follow at Green Valley Cemetery, at 1:30 PM. Interment will be in the Green Valley Cemetery. "Email Address" would like to share the life celebration of Peggy Nelson. Click on the "link" to go to share a favorite memory or leave a condolence message for the family.